I have been using a jar of chocolate coins for years now in the first grade. 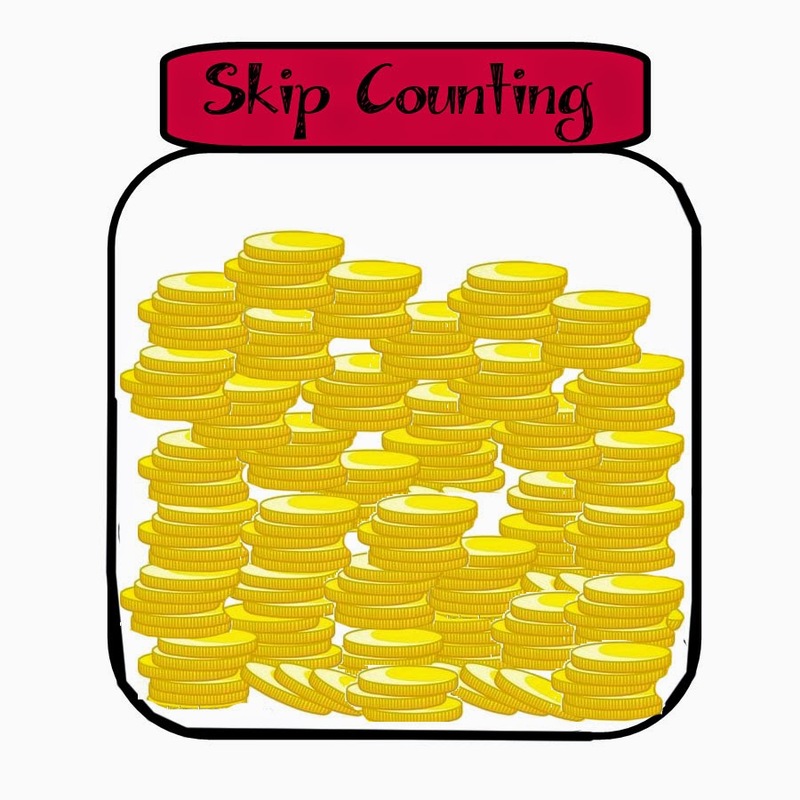 I use this visual idea to teach them skip counting by 3's. Once they learn the poem, if they can recite it for me without a mistake (or counting in their heads), they get to go into the jar and take three gold coins. Since they eagerly line up to do this for me, I know that the poem is working. One third grader came up to me in the hall and thanked me. He told me that the poem really helped him when he had to do his multiplication tables. Take the jar off the shelf. (I ask them what's in the jar. They shout, "Candy." Cou﻿nting candy's lots of fun.